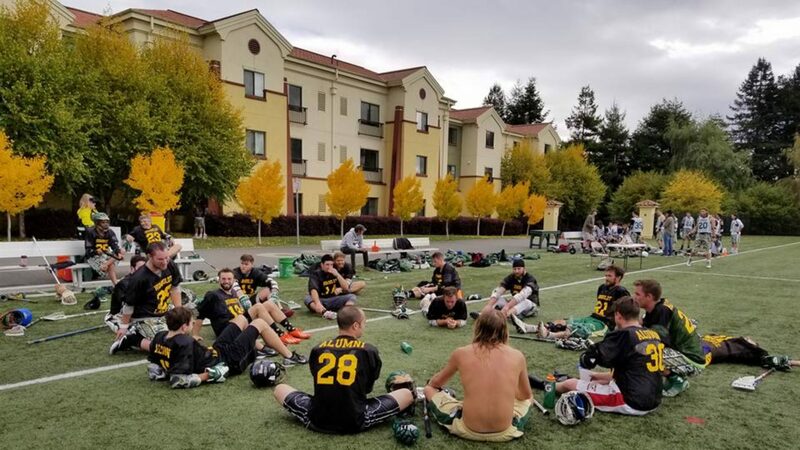 By the end of summer, Humboldt State head coach Tony Silvaggio will have played lacrosse on three continents. An assistant coach with the Italian national team, Silvaggio shares his love of the game wherever he goes. In Summer 2015, he and two Hogs played in Berlin and Austria; this spring, the Syracuse native held a lacrosse clinic in Bogota, Columbia. Yesterday we had the opportunity to meet and be trained by Tony Silvaggio, one of the selection coaches for the Italian Lacrosse national team and coach of Humboldt State University, for a great afternoon of lacrosse in Bogota! The trip to Columbia, however, is only the beginning of Silvaggio’s global lacrosse itinerary. Silvaggio plans on heading to Italy with the Italian All-Star team for a tournament near Florence on June 17-19. At the same event, Marquette University and Team England lacrosse will play a charity match and later hold a free youth clinic. Next, organizers of the Amsterdam Lacrosse program have asked him to bring a squad to the Lowlands Lacrosse Tournament from June 24-June 26, which will field teams from Scotland, Germany, the US and more. Take lots of pictures, coach! And send us a postcard!